Windows Boot Manager, abbreviated as BOOTMGR is a small piece of software that initiates the Windows boot sequence. Bootmgr is loaded from the volume boot record. It executes winload.exe (Windows boot loader) with the purpose to load essential device drivers and a core part of the Windows operating system. Bootmgr was introduced in Windows Vista which Microsoft released to the public on January 30, 2007. In previous versions of Windows, that's before Vista; a program referred to as NTLDR was the boot manager. This means that Windows XP users won't get the bootmgr is missing error. Bootmgr is essential for the boot sequence to begin; without it, the operating system will not load. In other words, if ‘Bootmgr is missing’ then your computer won't boot. 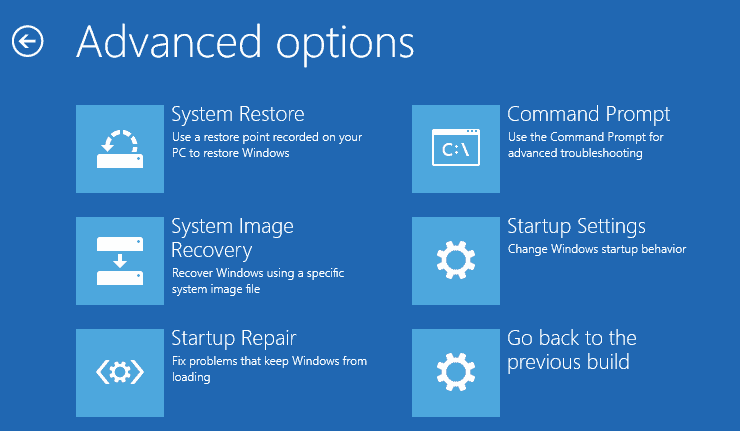 In this post, we discuss how to fix ‘Windows Bootmgr is missing’ errors in Windows. Bootmgr is missing Press Ctrl Alt Del to restart. The first error in the list is the most common. The ‘Bootmgr’ is missing error shows up shortly after you hit the power button, as soon as the POST (Power On Self-Test) is complete. Deactivated partitions if you have been using partitioning software. Operating system upgrade, downgrade or restore issues. Trying to boot from media (hard drive, flash drive, optical drive, floppy drive) that is not configured properly to be bootable. The Bootmgr is missing error could just have been an unlikely occurrence. A simple action like restarting can resolve the error. It is always a good idea to start with this simple solution, as you won't modify any system settings or spend time investigating the issue if a simple reboot fixes it. It can happen that the PC attempts to boot from a different device, for instance when you have inserted a DVD or USB Flash drive, and the PC is configured to prioritize those over internal hard drives. These external storage media includes optical drives, flash drives, external hard disks, and floppy disks. It can happen after you connected a Flash drive or external hard drive to your PC, or after you added a new internal hard drive to it. If your PC attempts to boot from a non-bootable storage media, then the "BOOTMGR is missing" error will be displayed. If you find this to be the cause of the error, then try changing the boot order in BIOS such that the hard drive is listed first. Else, always be ready to remove the external storage media every time you want to turn on your PC (and connect it afterwards to use it). This option is not really that practical, and it is recommended to change the boot order instead in most cases. Bootmgr is missing error could be caused by loose, malfunctioning or unplugged controller or power cables. Maybe the hard disk cables are hanging loose or are not connected properly to the motherboard anymore. You need to open the PC case for this. Make sure the PC is powered off, and the power supply is cut. Open the case and check the cables of the hard drives to make sure they are properly connected. This can happen if you have moved the PC recently for instance, or after unpacking it for the first time when it was delivered to you. This method requires a Windows installation disc or a bootable flash drive, or a preinstalled recovery option; for System Restore to work, it had to be enabled prior to running the recovery tools. If you have a Windows installation disc or USB Flash Drive with Windows on it, connect it to the PC that shows the bootmgr is missing error and power the PC on afterwards. The PC may boot from the media right away; great, go to 7). The PC does not recognize the media, and shows the boot manager error again. If that happens, continue with 3). The PC BIOS or UEFI highlights how to enter the BIOS or UEFI setup. This is usually one of the following keys: ESC, DEL, F1, F2, F4, F8 or F12. Once the BIOS setup has loaded, locate the section that allows you to change the boot order. This is named differently depending on manufacturer, and may be called Boot, Boot Order, or Boot Options among others. The boot options let you manage the boot order of the PC. You need to move the priority of the media that you plan to use to the top. This makes the PC check it for bootable media before it checks anything else. Don't forget to save the changes when you exit the BIOS/UEFI. The PC should boot from the media now. You may be asked to select a language, time, keyboard, so make those selections and select next afterwards. You have entered the Windows Recovery Enviroment. From the System Recovery Options/Advanced Startup Options dialog box, select the drive that contains your Windows Installation, then select Next. Select Startup Repair. This tool attempts to fix problems that keep Windows from loading. This process will try to restore the damaged or missing bootmgr files either by restoring a previous system snapshot using System Restore, or by attempting to fix startup issues. Another option that you have is to rebuild BCD (Boot Configuration Data) using a Windows Recovery Environment. This method requires a Windows installation disc or flash drive. The steps are nearly the same as under 4, so follow them until you are in the System Recovery Options. Select the Command Prompt option. This enables you to run commands from the command prompt. Then press Enter. This may take a while as the command will scan all drives for Windows installations, so sit and wait. If Bootrec finds a Windows installation, it asks you whether you want to add it to the boot list. Select Y in this case to add it, N to skip it, or A to add all Windows installations that bootrec found. bootrec /fixboot -- This writes a new boot sector to the system partition. bootrec /fixmbr -- writes a Master Boot Record (MBR) but does not overwrite the partition table). TestDisk, a free software used to recover systems. It supports recovering lost partitions, and recovering boot sectors among other things. The following guide walks you through the steps of repairing a Windows PC that displays the "bootmgr is missing error on startup. Excellent article! It will help many people. Thanks. We try to add a couple more of those overview troubleshooting articles, as they can be really useful. I’ve never encountered the problem thankfully, but should it arise I’d be inclined to use a System Image to recover. I create one of those every Patch Tues (deleing all but one other each time) so that the image is always up to date. if system was restored from an acronis (or similar program) image you MAY need to use the acronis disc and set the partition active.this will show an mbr error. inactive partitions after a restore from clone happens often. if doing a restore from a server 2012(R2) essentials backup make sure to unhook all extra drives and manually change the volume to be restored to C drive. the restore process can often use incorrect drive letters. Hey Melanie. I hope you don’t get ribbed too much with your last name and all. :) Great article and excellent guide. Yes, the tutorial is well-written and thorough. Impressively so. Robert’s intellectual and maturational level, however, leads me to believe Robert is a non-essential being who will live on the dole the rest of his pathetic life. Just letting you know that this fixed our issue. TY very much for posting such great info.